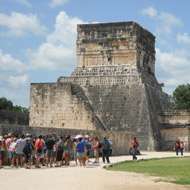 Formed of eight tourist destinations including Riviera Maya and Isla de Mujeres, Mexico combines the beach with visits to archaeological remains like Cobá and Tulum, among others. 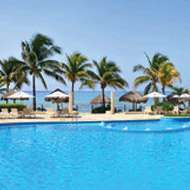 Our resorts in Mexico are located on the best beaches to spend your holidays, privileged places on the waterfront which are all-inclusive so you don't have to worry about anything other than your own enjoyment. 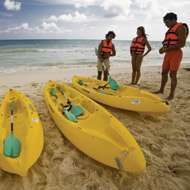 Because when you think about escaping to a beach in the Mexican Caribbean, the thing that comes to mind is enjoyment. Enjoying the sun, the water, the wealth of water sports you can practice (snorkelling, windsurfing, diving...), the local fish and seafood, the variety of tropical fruit you don't find at home, the people, fauna and flora, the places still to be explored and the fun of 4 and 5 star all-inclusive hotels...In short, enjoying a unique experience that is different every day and always with the same goal: to relax at one of the beach hotels in the Mexican Caribbean. Whether you're with your family or partner, you will love it. Kick back and relax while your kids play in the Mexican resort hotel and we prepare a delicious cocktail just for you. 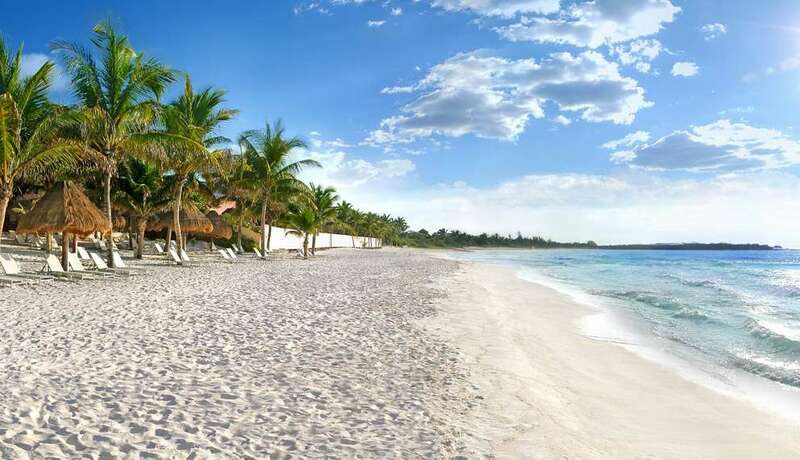 The areas are among the most beautiful in Mexico and include Yucatan, Carmen and Maroma beaches where you can spend a wonderful time with your partner in a gorgeous place and the best company. 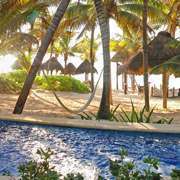 At our adults-only Mexican resorts you’ll get the peace and calm you need, and if you want fun and activity there are all sorts of services to choose from. 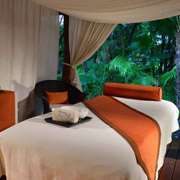 • Free cancellation with the flexible rate. • Guaranteed best online price. • Early check-in and late check-out, depending on availability. The Caribbean and our friendly staff are waiting for you! The Caribbean Sea's turquoise waters can be seen from this hotel-paradise. 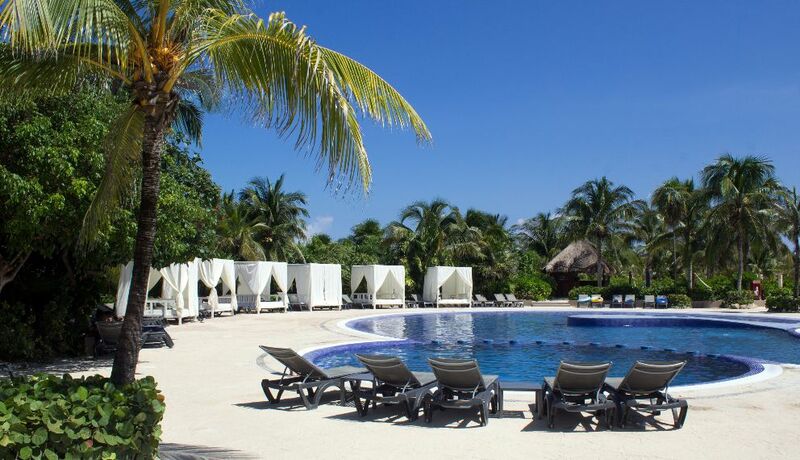 Come and get ready to spend some unforgettable days in the heart of the Mayan Riviera, surrounded by marvelous landscapes and seductive, white sand beaches. 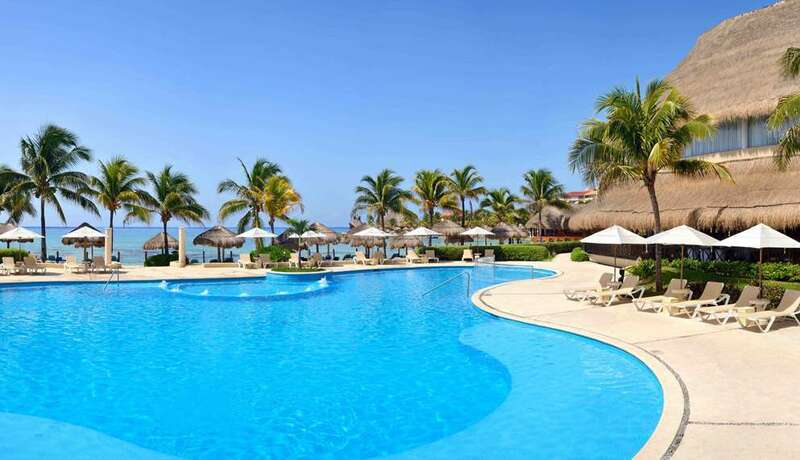 The hotel is located in the wonderful Puerto Aventuras development. This is a tourist development which boasts a marina for yachts, a golf course, restaurants and dolphin tanks, all within easy reach of the main Mayan Riviera attractions. The Caribbean is a small strip of paradise where you can have a great time. Its scenery will leave you spell bound, and you’ll fall in love with its beaches. 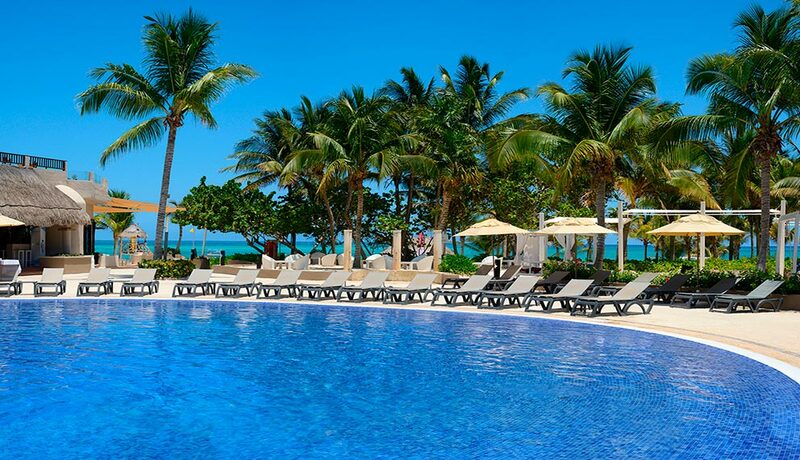 Let this unparalleled setting in the heart of the Mayan Riviera work its magic upon you. 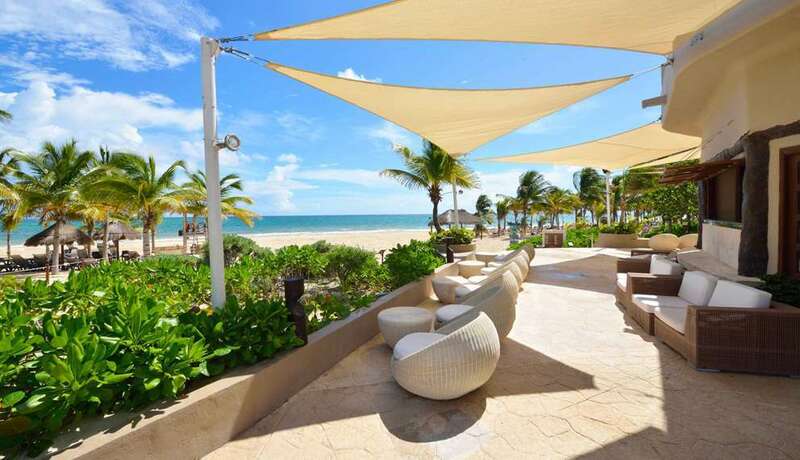 By taking its inspiration from the surrounding Caribbean paradise, this hotel offers you a dream vacation. Its design ensures that each and every room offers a marvelous view. 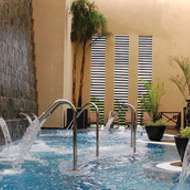 Stroll through the fantastic hotel gardens; relax in the new Spa or take a refreshing dip in one of our pools. Make the most of your stay here! 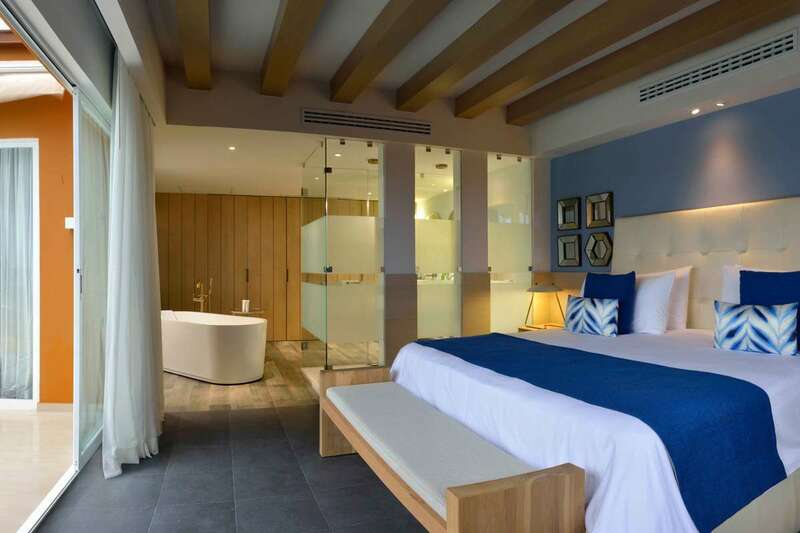 The hotel’s 423 rooms are known for their spaciousness, their Mexican-Caribbean decor, and for their terraces or balconies, an essential feature enabling one to feel the caress of soft Caribbean breezes, even while in bed. The resort's 7 restaurants take special care with its cuisine. The offering is enormous, so as to ensure that everyone can always enjoy their favorite food. Of course, near the pool and next to the sea, there is a wonderful place to sip your refreshment or have a snack. 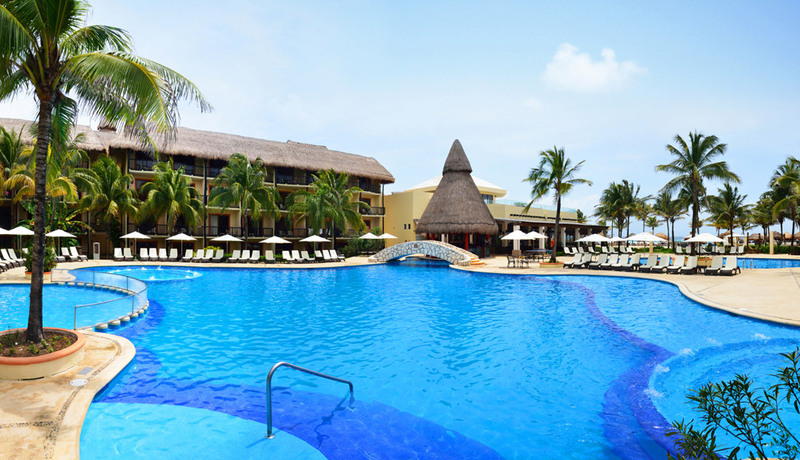 If you’re looking for R&R, our facilities and our location guarantee that you can make the most of your stay in the Mayan Riviera. This goes for both children and adults, both inside and outside the complex. We offer everything from aquatic sports, strolls along the beach, relaxing massages or live music to extraordinary views in unforgettable locations: virgin sand islands, impressive nature parks or imposing ruins of lost civilizations. In addition, the hotel's staff is made up of a complete team of professionals. Their mission is to ensure that you have a fantastic vacation, and they will do everything possible to ensure that you do so. You’re sure to have a non-stop great time on your vacation! Attention: this hotel does not accept American dollars as cash. If you’re looking for the exclusive, adults-only hotel of your dreams, Eureka! You’ve just found it. 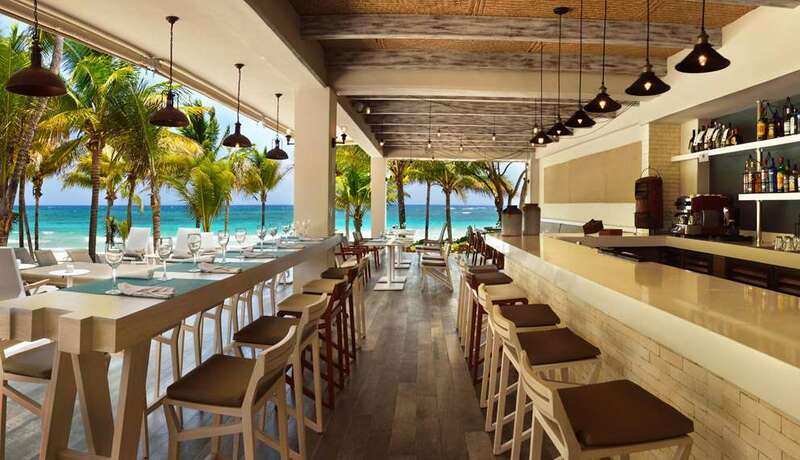 Located on one of the Caribbean Sea’s most beautiful beaches, this hotel is surrounded by towering jungles, mangrove forests and cenotes (fresh water sinkholes) on one side, and by the vast sea on the other. 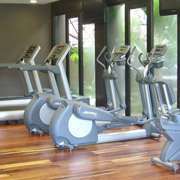 As a result of this privileged location, the hotel has an incredible amount to offer. 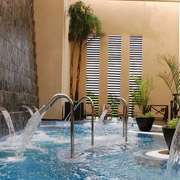 Choose from amongst a wide variety of activities, indulge yourself in the Spa and enjoy your vacation in an amazing setting. 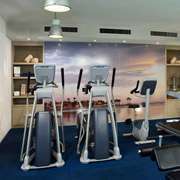 If you’re looking for a place to enjoy yourself, get some R&R, try out some sports activities and socialize in an atmosphere unaffected by childhood exuberance and noise, this is the perfect place for you. 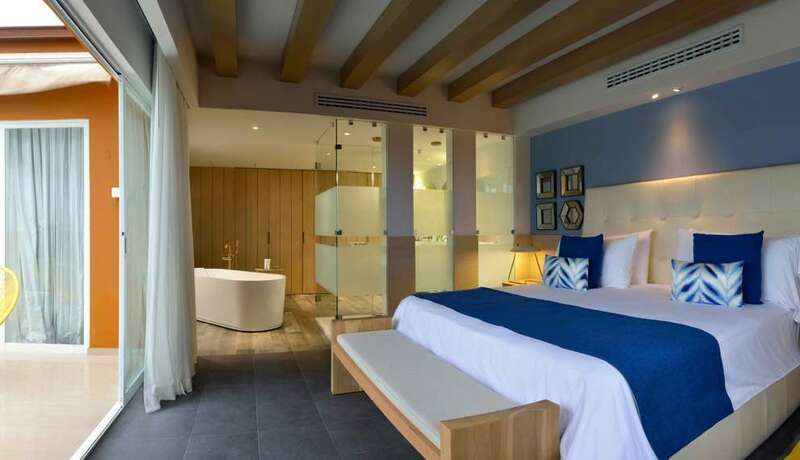 Catalonia Royal Tulum, a resort exclusively for adults where you’ll be able to enjoy your entire stay in a privileged setting, while experiencing fine service. The Caribbean awaits you, so that it can make your dream vacation a reality. 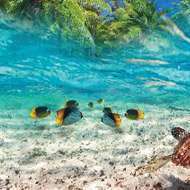 On top of falling in love with its beaches, you’ll be awestruck by its jungles, and amazed by its beautiful mangrove forests and incredible cenotes (freshwater sinkholes). 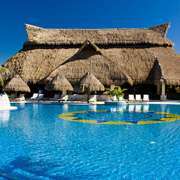 The hotel is located in Xpu-Ha, the Mayan Riviera, on one of the Caribbean Sea’s most beautiful beaches. As soon as you arrive, you’ll sense something magical in the atmosphere. Indulge yourself in a welcome cocktail and get ready to have a great time. We have a lot of wonderful surprises in store for you. The reception area is connected to the sea by means of a path which wind its way through lush vegetation, typical of the Mexican jungle, before passing over wooden bridges, and skirting lagoons and cenotes. The hotel's 288 rooms, located in 3 storey villas, are found along this path. The manner in which the spacious rooms and their Caribbean details enhance the setting will make your vacation an extraordinary one. 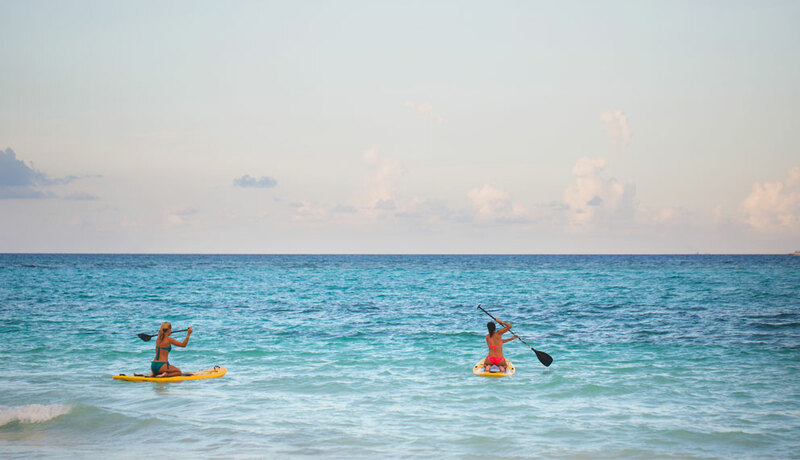 The beach and the scenery may be incredible... but we still haven’t even touched on all of the activities you can try during your hotel stay. Relax in the spa, enjoy our massages and beauty treatments, try our cuisine, get involved in our sports and recreational activities, explore the Mayan Riviera… Discover it yourself and get ready to live life to the fullest! Take a trip through the world's different cuisines in our 7 restaurants: Enjoy authentic Mexican food, discover a taste of the Mediterranean, as exemplified by our Spanish and Italian cuisine. Juices, cocktails, refreshments and much more are available in the hotel bars throughout the day… as well as at night! Attention: this hotel does not accept American dollars as cash. 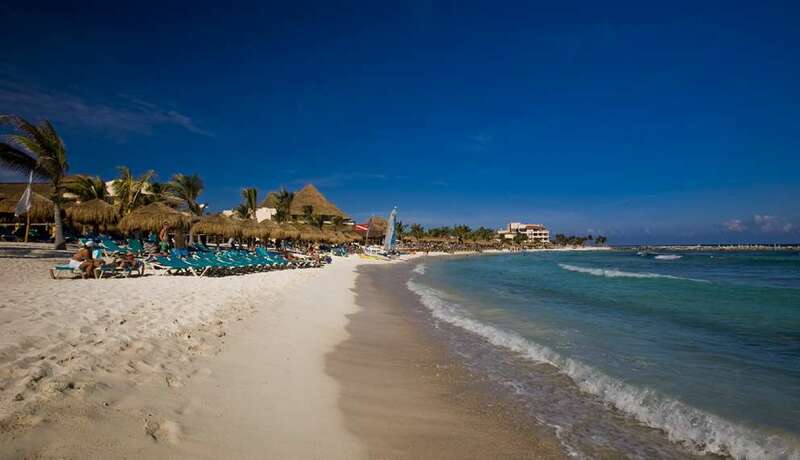 In addition to the beach it is one of the most populous cities close to our hotels in Mexico, where we put great care into the details to enhance your experience. Playa del Carmen has many commercial venues, with stores, night-time leisure options, restaurants...and the airport just 45 minutes away. 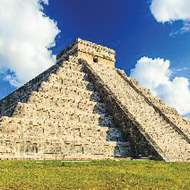 Set on the Caribbean coast are these Mayan archaeological ruins of major historical value. The ruins of Tulum present a stunning contrast between the rocky areas and the sweeping views over the Caribbean Sea. These archaeological ruins are special because they are found next to natural lakes and attract fewer tourists. After visiting the ruins of Cobá drop into one of the local lake-side restaurants. 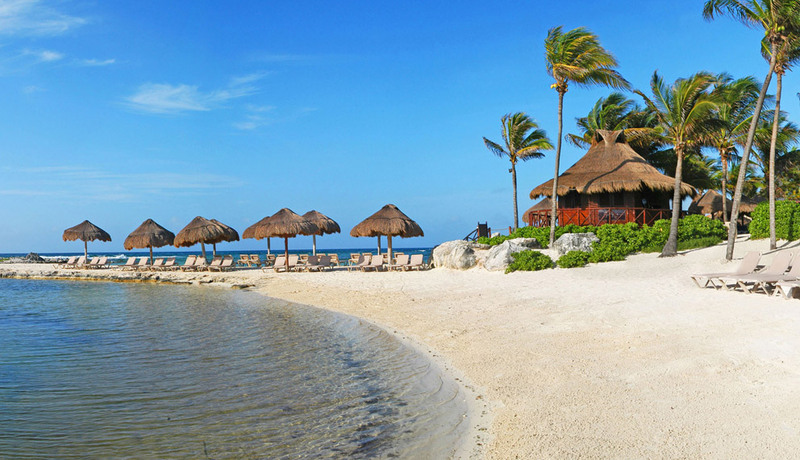 You have an extensive catalogue of hotels to make your visit to Riviera Maya an unforgettable experience.